Are you in the gift-giving spirit but having trouble deciding what to buy as gifts for older people in your life? Do you need a practical Secret Santa of White Elephant gift? Or maybe a holiday Bingo prize? Are you torn between getting your parents or grandparents something they will love versus something they will actually use? I’ve got great news. You don’t have to choose! As a pharmacist, when I help people come up with ways to take their medications like they should, they are extremely grateful. 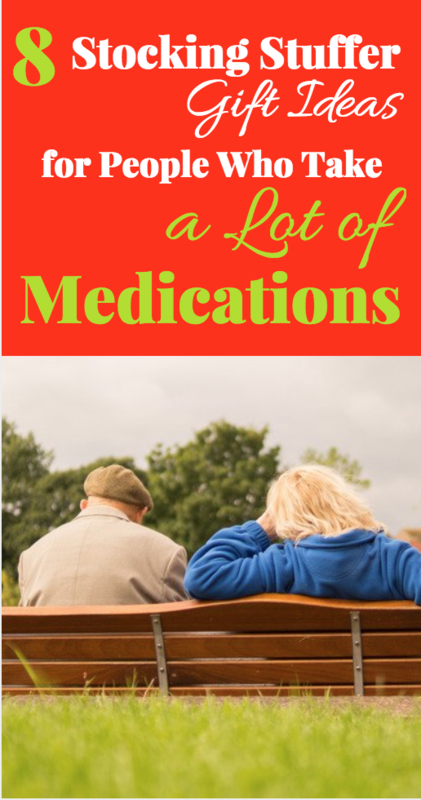 People truly appreciate and enjoy having better control over taking their medications. For some people, control means independence. For others, control means privacy. For many of my patients, control means actually remembering to take the medication. For older folks who stay on the move, control may mean convenience. This gift guide has something for EACH of those people. You’re sure to find a small stocking stuffer or a complete gift for older people in your life – one that they will love and use for years to come! Click on each picture below to see the product on Amazon.com! 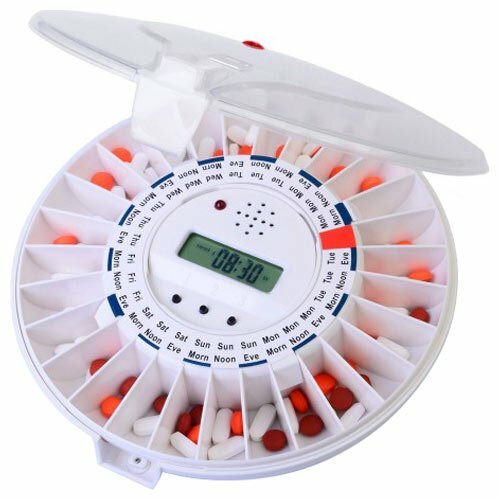 This modern carousel pill dispenser has a motor that makes it easy to know which pills to take. You can set the alarm to ring up to 6 times a day and store up to 18 (!!) pills in each slot. 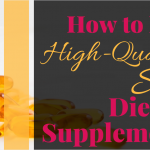 That makes it a great option for people who take a lot of medications. Plus, it has an optional safety latch in case there are small children or pets around. The iPhone of automatic pill dispensers, this one is virtually unbeatable. A caregiver can fill the tray, lock it, and let the senior handle the rest. When the alarm goes off, the pills to be taken are exposed and all other slots are locked. That way, it’s impossible to remove the wrong medications or too many medications. 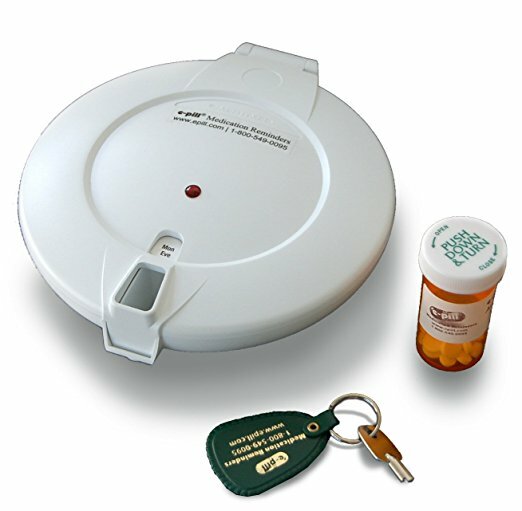 Simply flip the dispenser over and the medications you need to take fall in your hand. This allows even forgetful or early dementia/Alzheimer’s seniors to be independent. Loved ones on the go will find the XINHOME pill organizer super useful. Because it’s so small, it’s great for travel and can easily fit in a purse or carry-on. 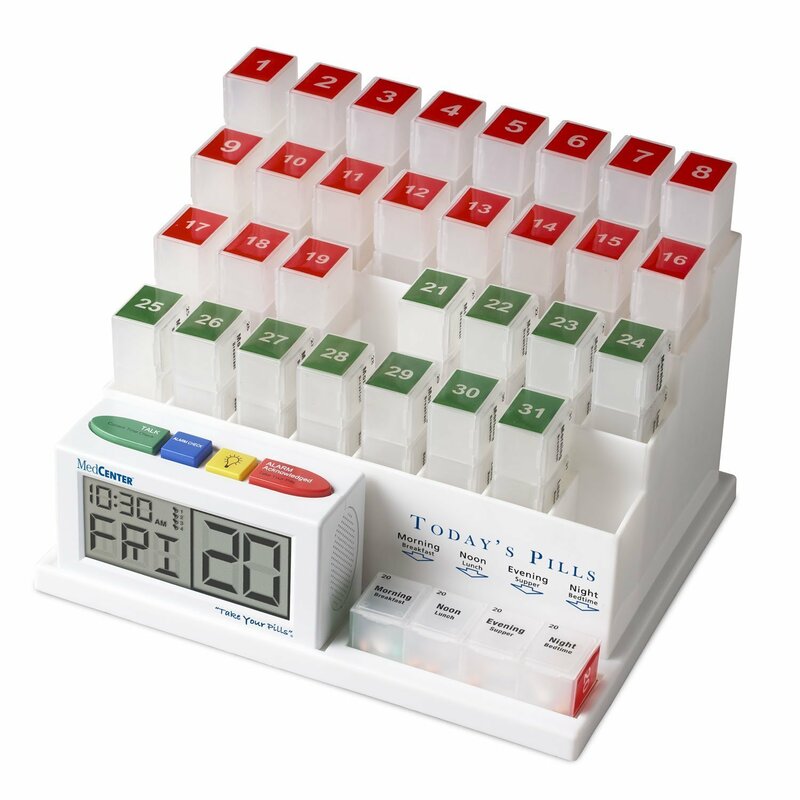 Plus, there is a color for each day of the week, and each tray has 4 sections to separate pills by time of day. The black leather carrying case also keeps private matters private in a stylish way. 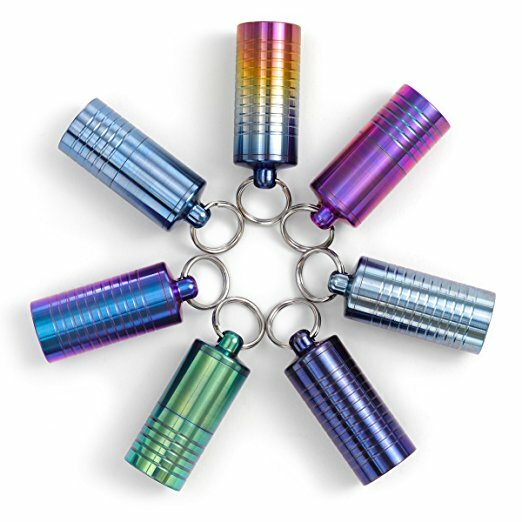 You Could Win a FREE Cielo Keychain Pill Holder! For a chance to win a FREE Cielo pill holder OR a $20 CVS gift card, enter Your Friendly Public Health Pharmacist’s Holiday Giveaway Contest! One winner will be announced on December 19 – just in time for Christmas! Enter to win a Cielo Pill Holder or $20 CVS Gift Card! 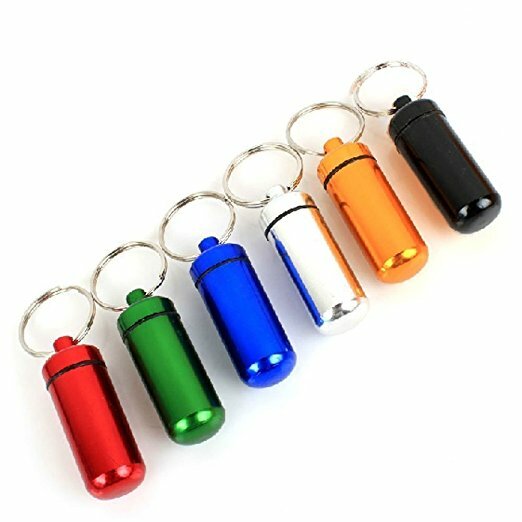 A step down from the Cielo keychain pill holders, these colorful keychain pill holders would make a convenient stocking stuffer as well! Check out the 4-pack or the 6-pack. Vision problems? No worries. The extra large pill case is color-coded and has large font so seniors can read it easily. 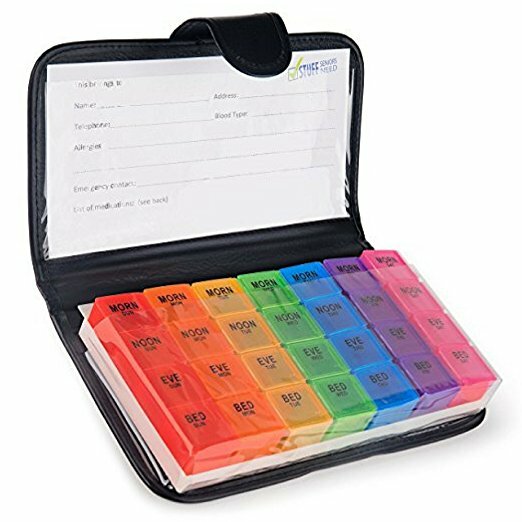 This is one of the BIGGEST pill organizers on the market, which means it can fit lots of medications (a week’s worth at a time) and it’s easy for seniors to handle. Set it and forget it. 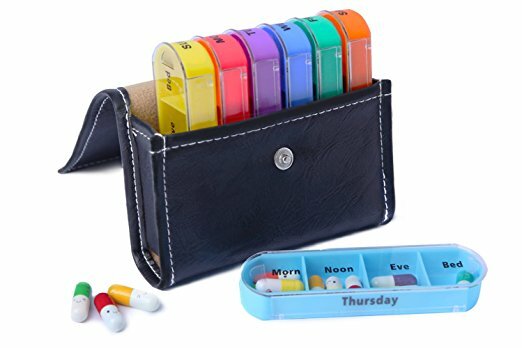 With slots for up to 4 daily doses, this 31-day pill organizer and reminder does the hard stuff for you. When the alarm goes off, it will tell you the date and time of day so you know exactly which medications to remove and take. The best part is you only have to fill it up once a month. 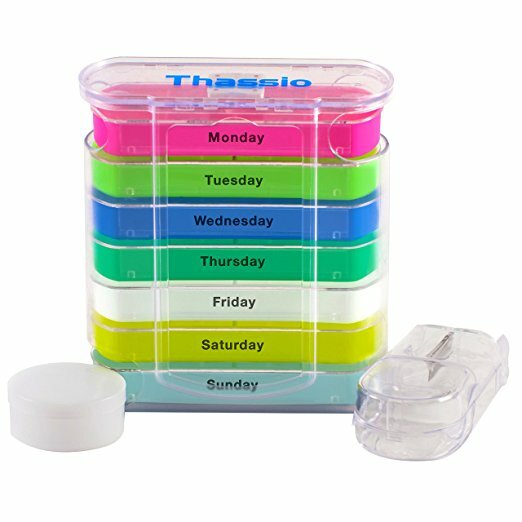 A complete weekly pill case, this option also comes with a pill splitter. If your loved one takes the blood thinner warfarin (Coumadin) or some other medication where the dose is changed often, the pill splitter may be a dealmaker for you. Long gone are the days of your grandparents’ basic 7-day pill container. 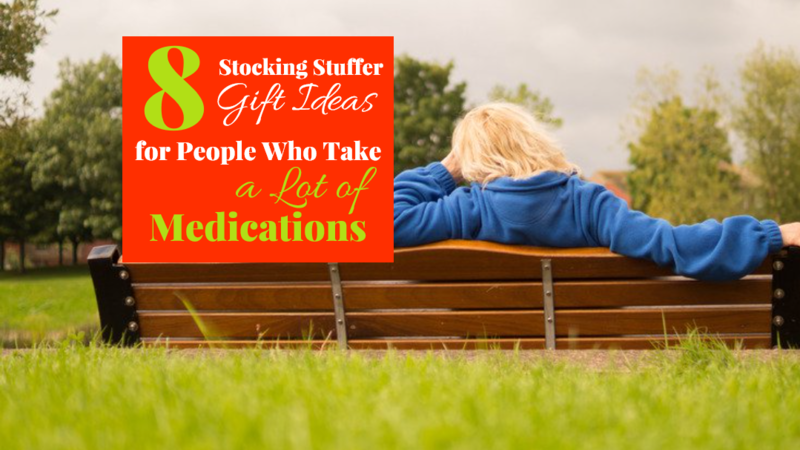 I’ve personally recommended each of these gift ideas to patients, family, or friends, and have received positive feedback on each! Rest assured that any of the options above would make a nice upgrade and help your loved ones start off the New Year on a healthier foot. Feel free to share with others who could use some gift inspiration! 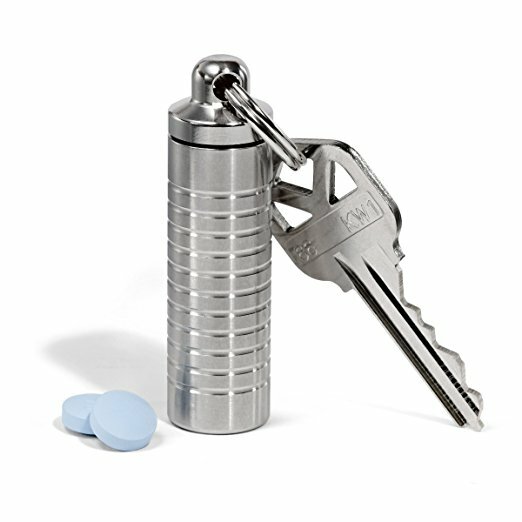 I don’t even take medicine like that, but that Cielo keychain holder is kinda nice. I hope I win the contest (pick me, pick me!). 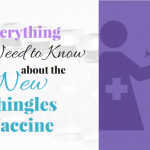 I need to send this blog link to my mama! She always has so much pills int he cupboards and need some serious organization! Thanks for sharing!!! Your mom might also enjoy the Cielo pill holder if she is out of the house regularly. This is a great gift to give an older family member and I would have never thought of this. Cosign Rho’s comment. The keychain is pretty cool. Thanks for reading! I think a lot of people aren’t aware that there are so many options out there. I had no idea all of these options existed! I personally would use the keychain if I needed it, but I may have to get the travel case for my mom! Thanks for checking out the post! I like the keychain a lot because it’s useful even for people who don’t take medications regularly. 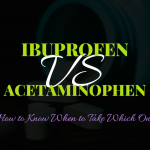 I have one with a double chamber and I keep ibuprofen in one side and my allergy medicine in the other. I love it because I don’t have to worry about leaving my medication at home. I think your mom will enjoy the travel case! Thank you! 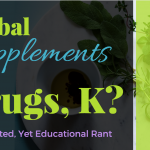 And that’s a great point – many people who don’t take medications may actually take vitamins or supplements, and these are great for dispensing those as well. I had no idea there was this variety! Hidden gems! Thanks for reading. Great items! of all of these, I can see the key chain being so helpful. No one leaves home without their keys, right? These are great tips. My grandparents are/were always the hardest to shop for. Yes, grandparents can be so tricky! Thanks for reading. These are actually pretty cute & cool! We have a family friend who would love one of these. Thanks for sharing these ideas! Thank you for reading! There are so many varieties out there, but these are definitely some of my favorites. Last day to enter is Monday 12/18!